Dr. De Paoli emphasizes the cosmetic aspect in all his work, because he knows that when your smile looks good, you feel good (Ask him to show you some “before and after” photos)! Dr. De Paoli pays meticulous attention to detail. Modern veneers, bonding, whitening and crowns can give you a “movie star” smile like you’ve always wanted! Dr. De Paoli knows that amazing restored smiles of satisfied patients isn’t just a product of a “skilled” dentist but is achieved when a skilled dentist listens to and understand the patient’s expectations and explains to and involves the patient in their cosmetic dental treatment plan. We want you to look and feel your best, and a big part of that starts with your smile. At Advanced Smiles, we love giving our patients smile make-overs that they can't stop talking about. 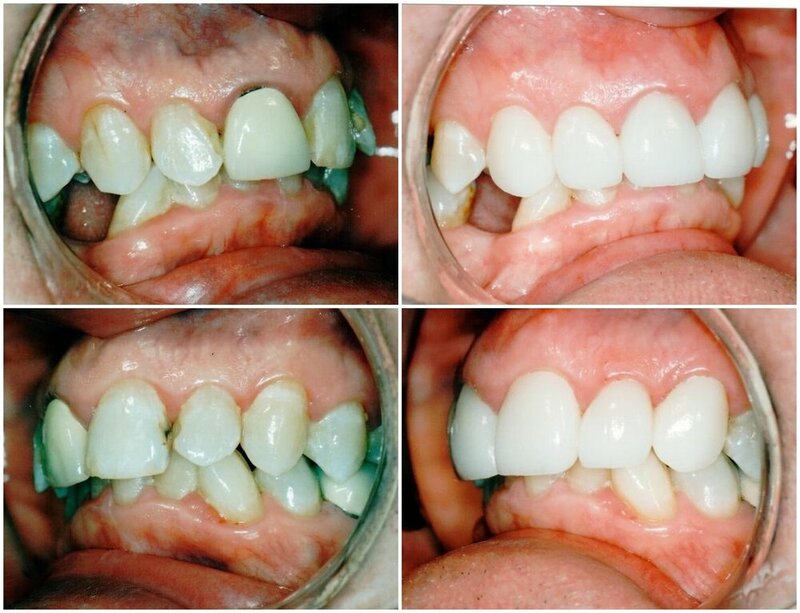 Take a look at these before and after images to get an idea of what Advanced Smiles can do for you!